Passes away at age 86. "People will forget what you said, people will forget what you did. But people will never forget how you made them feel." Indescribable and unforgettable. And now...very, very sad at such a huge loss for this world. 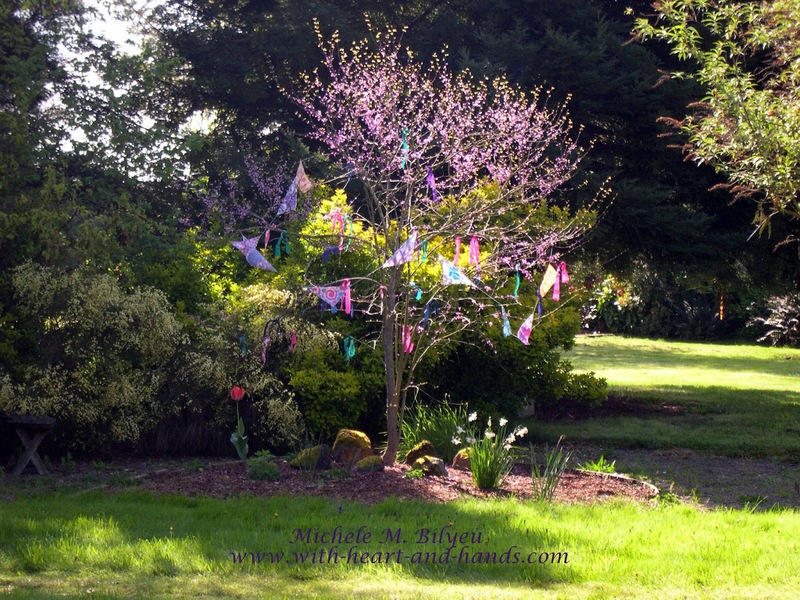 my prayer flag tree with the first hand painted silk prayer flags I made decades ago. All gone from this world and into the next. How sad this is. She was such an inspiration to others. RIP Dr. Angelou. I loved her writings and quotes- she was so upbeat and reflective about life. Her life's work is a grand legacy- your presence will be missed Maya Angelou. Thank you for your support. Talk about a life well lived...a role model for all...I love MA...and I had no idea she was 86. She lives in our hearts forever. I agree, a huge loss for us all.